Today is FCCFREE RADIO’s 7 year Anniversary ……….. – Radio for the People, by the People. Today is FCCFREE RADIO’s 7 year Anniversary ………..
Today 7 years ago FCCFREE RADIO opened its studios in San Francisco. 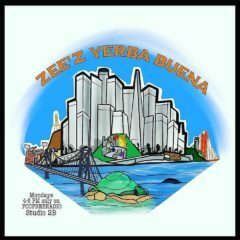 We were a pirate station with maybe 5 shows, now we have over 30 shows and brand new studios in downtown San Francisco! It been a long strange trip so far!! We would like to thank San Francisco and the worldwide web…….all of you!! Long live free speech! !